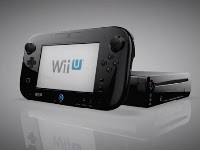 With a launch event at the Nintendo World Store in New York, the japanese gaming company released yesterday night Wii U, the successor of its video game console Wii. Wii U consists of a console and a portable GamePad with a screen on it. This way users will be able to see the games they are playing either on the small touch screen of their GamePad or on the big screen of their TV sets, which will be connected to the console. Besides the small touch screen, the GamePad has also a great variety of buttons and controls to play games, including an accelerometer and a gyroscope to detect movements of the whole device. The GamePad contains also features such as stereo speakers, an infrared transceiver, a built-in set of camera and microphone, and the rumble feature, by which some situations in a game can make the GamePad vibrate in the hands of the player.